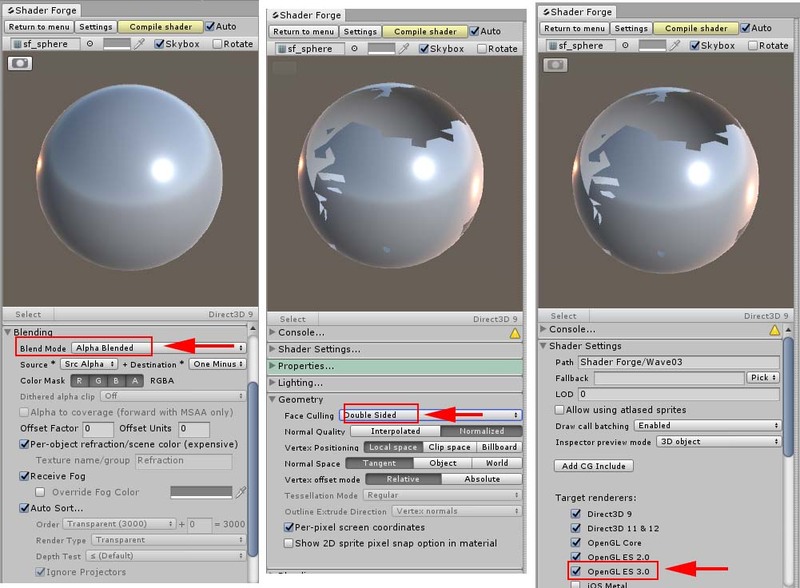 In this article, I introduce how to make a Shader to add up-and-down motion on the water surface by Shaderforge in Unity. The completed image – the waves moving up and down. 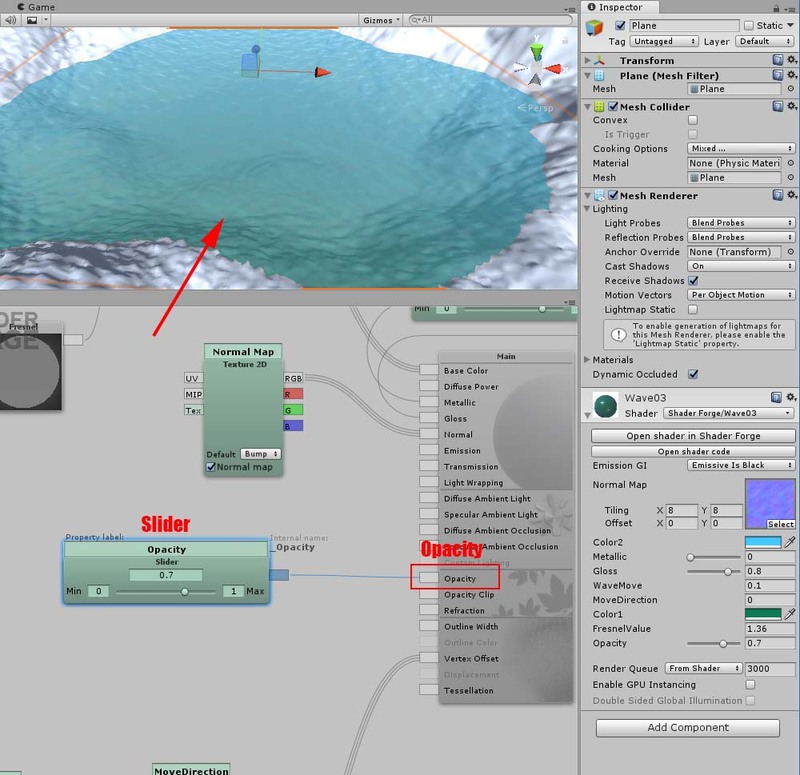 We make an animation that the water surface moves up and down slowly. You can download the Unity project in this article. Make a shape with a depression at the centre to store some water by Terrain. 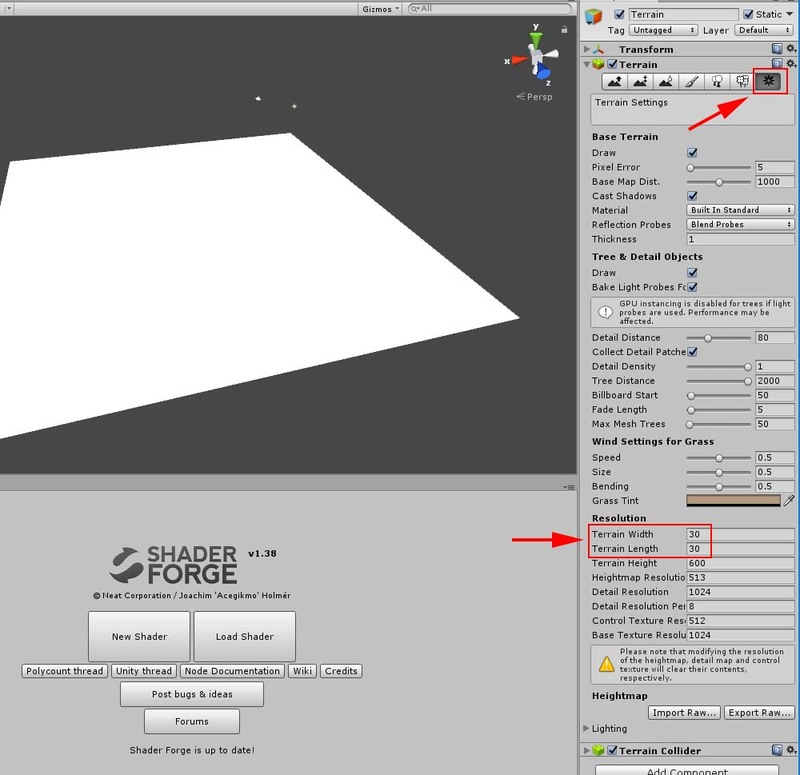 You can create a Terrain by selecting GameObject > 3D object > Terrain. Adjust the size as the default is too large. Click the cog icon on the right to open the window for the setting. 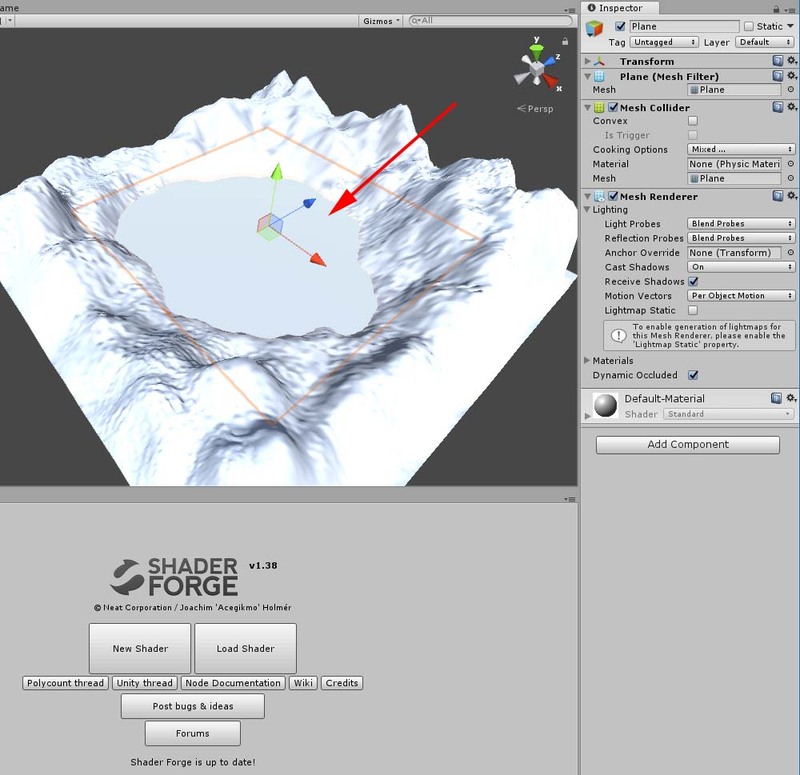 Adjust the size by Terrain Width and Terrain Width under the Resolution section. In this example, I set both to 30. 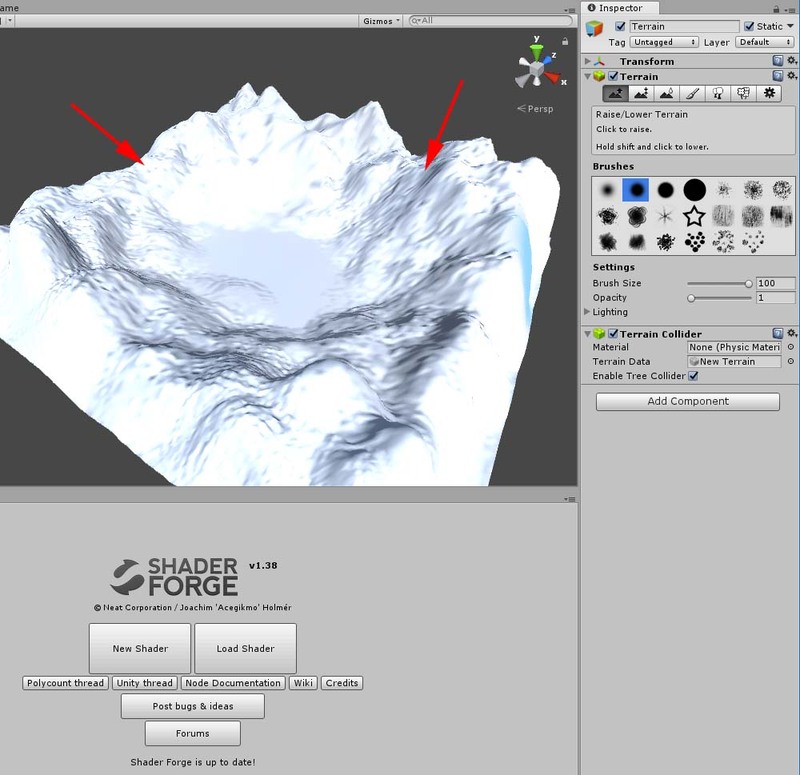 Once you set the shape and the size of the brush and the Opacity value, let’s create a terrain steadily. Make a terrain so that the surrounding area rises. I made it like a basin. The terrain is ready now. Place a Plane at the centre of the depressed ground to express water. I adjusted it to a bit larger not to look too shallow when water moves up and down. 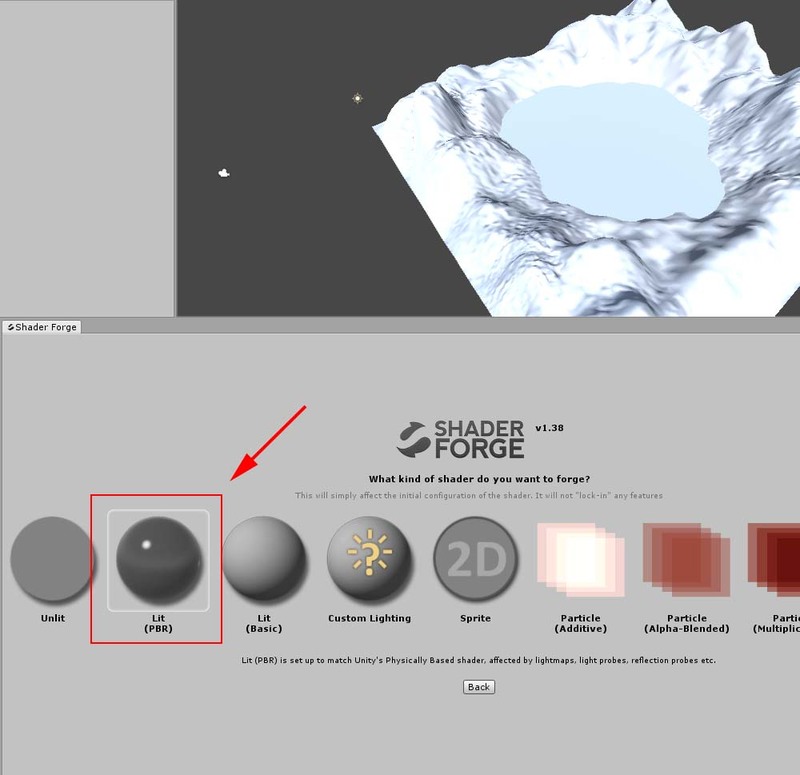 Open Shderforge and select New Shader > Lit(PBR). Set Blend Mode to Alpha Blend to adjust transparency. Set Face Culling to Double Sided to make the backside visible. Check the box for OpenGL ES3.0. 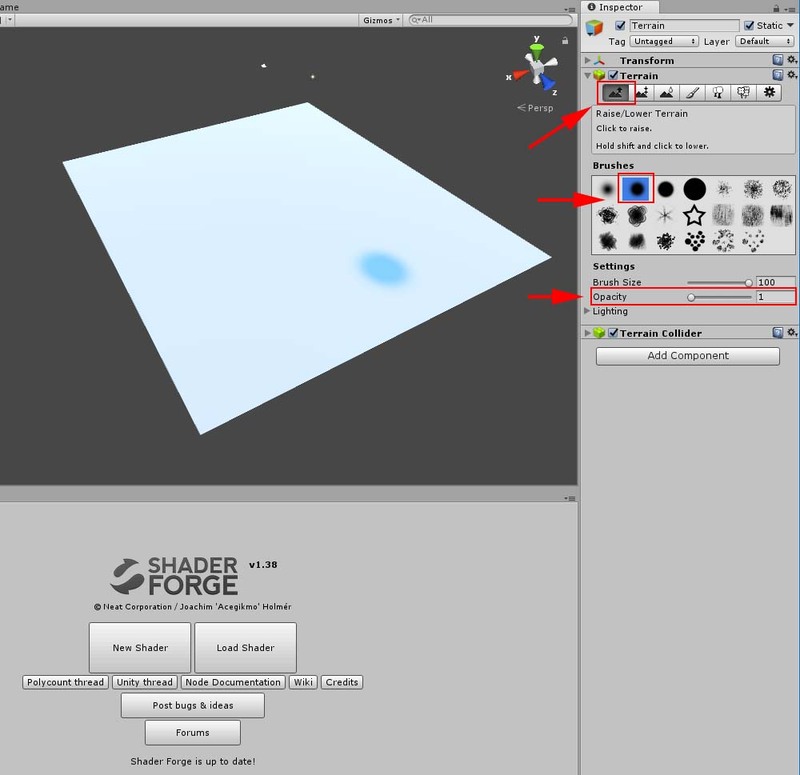 Assign a Material to the Plane and change the shader of the Material to the one you made in Shaderforge. Express the water surface by Normalmap. 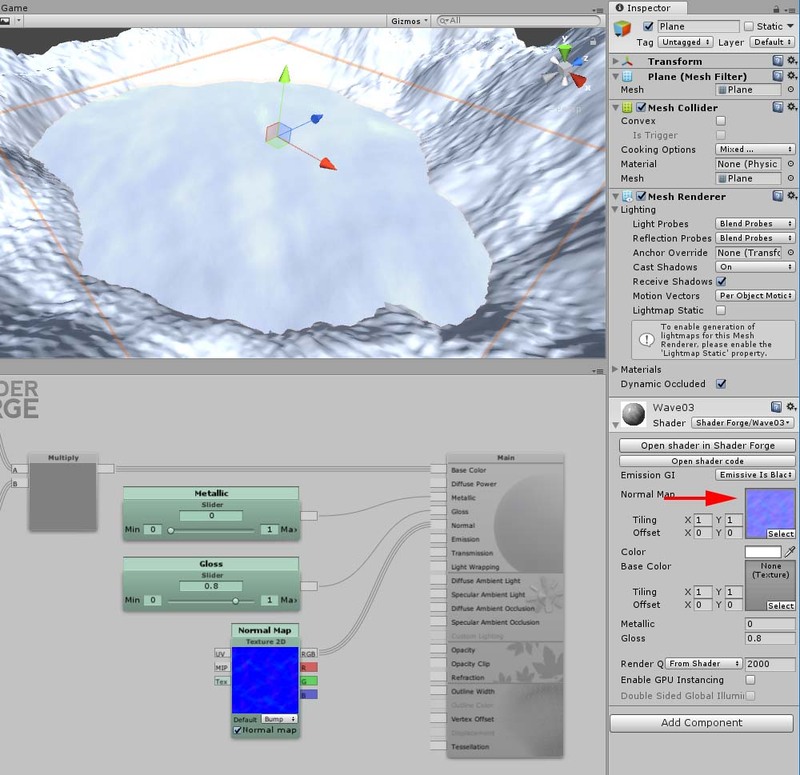 In this example, use the Normalmap as shown above. 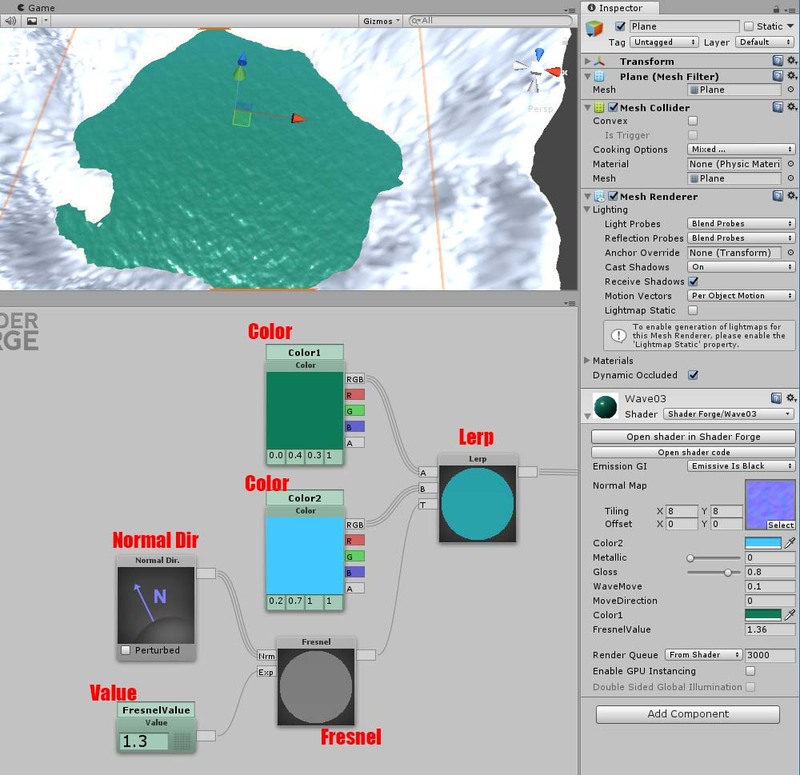 Assign the Normalmap to “Normalmap” in the Inspector window. As the waves are too large with the default setting, adjust Tiling to make them finer. Adjust X and Y of Tiling to set the number of the tiles. Set both X and Y to 8 in this example. Add a back-and-forth motion by Sin. Adjust the speed by “Time” and the range of the motion by “Remap”. 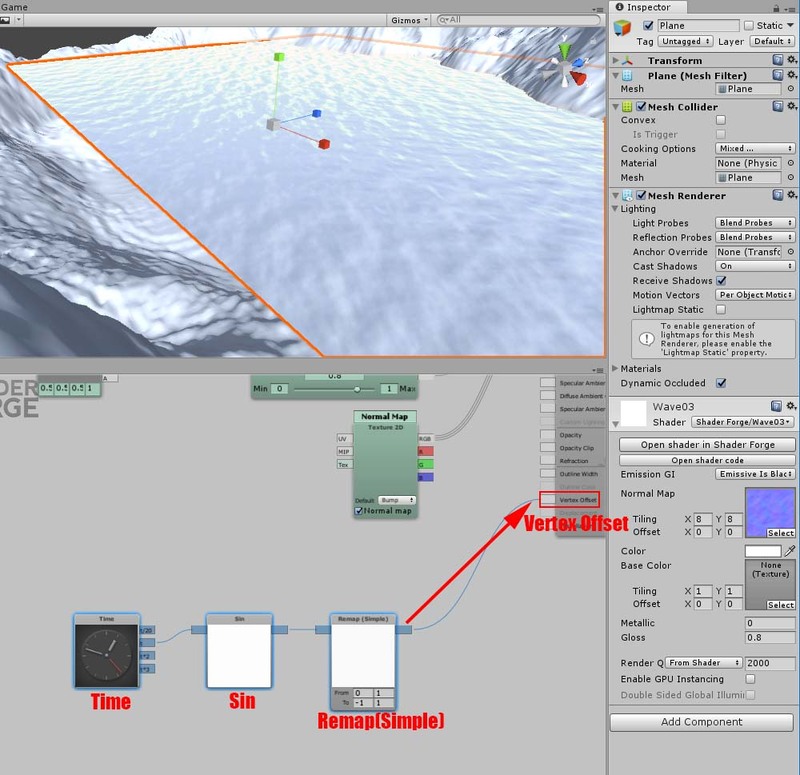 The motion will be activated once you connect it to Vertex Offset. Enable the Inspector to adjust the range of the motion. 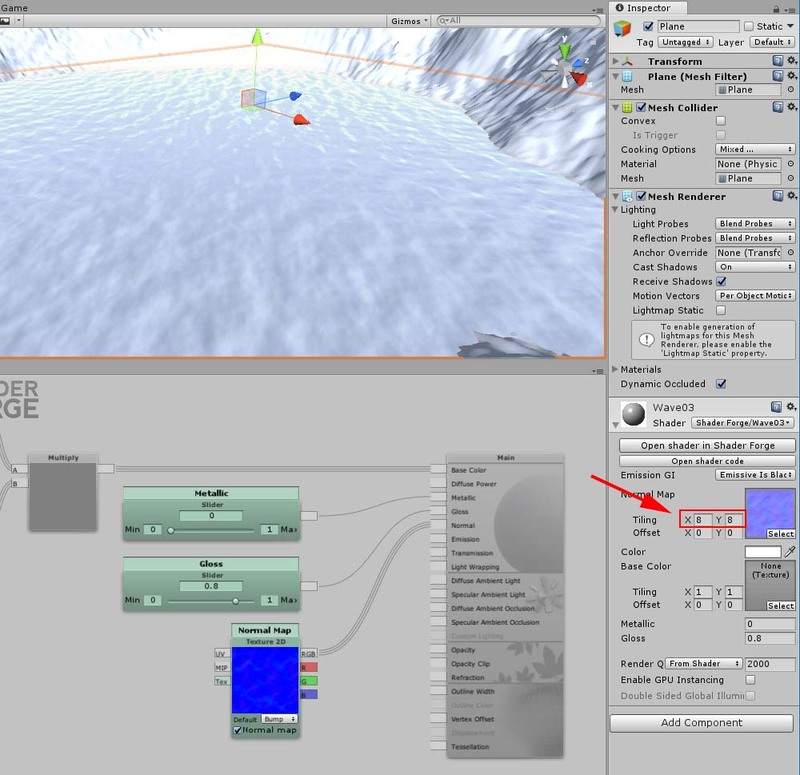 Add a Value node called “WaveMove” to adjust the range of the motion. In this state, the water moves in the all directions, X, Y and Z. So make it move only in the Y direction. 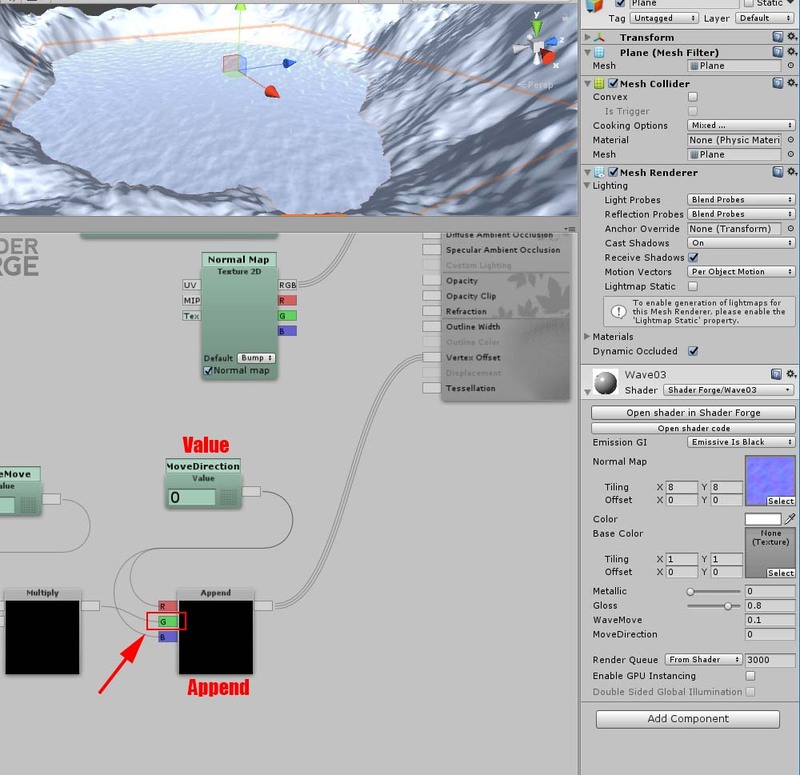 Add a Value node with the value set to zero to stop the motion along X and Z direction. 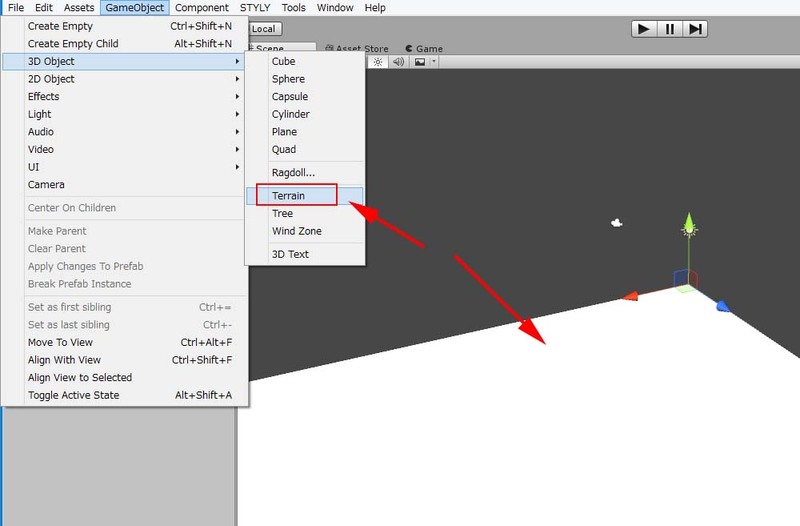 Connect to “G” of the Append node to restrict the motion to the Y direction. Set the direction of the motion. 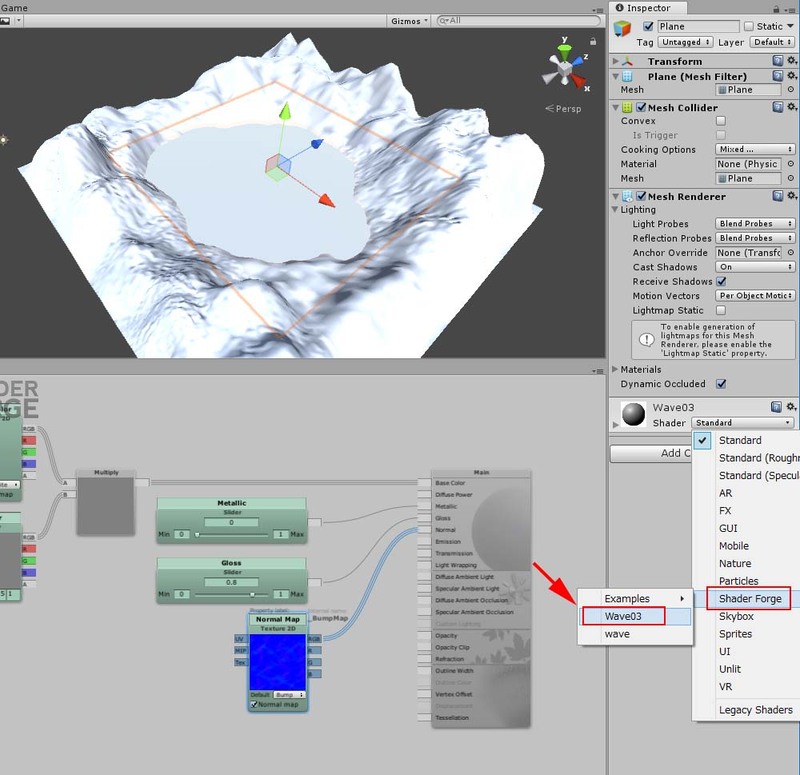 Make two Colour nodes and combine them by a Lerp node. 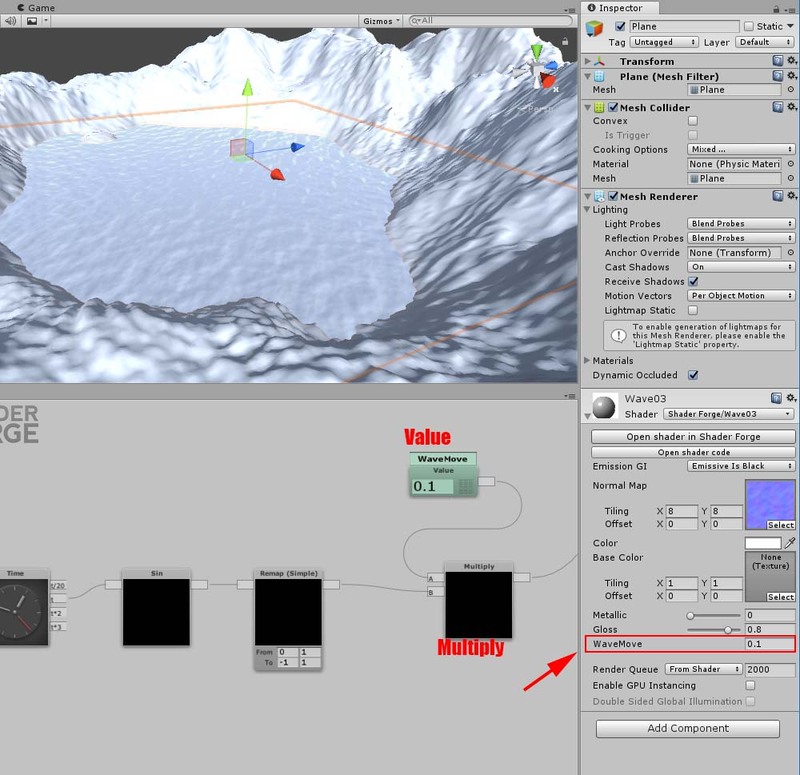 Connect a Normal Dir and a Value node to a Fresnel, and then, connect the Fresnel to the Lerp. You can make the colour responsive to viewing angle by Fresnel. The more perpendicular your viewing angle is against the water surface, the greener it looks. 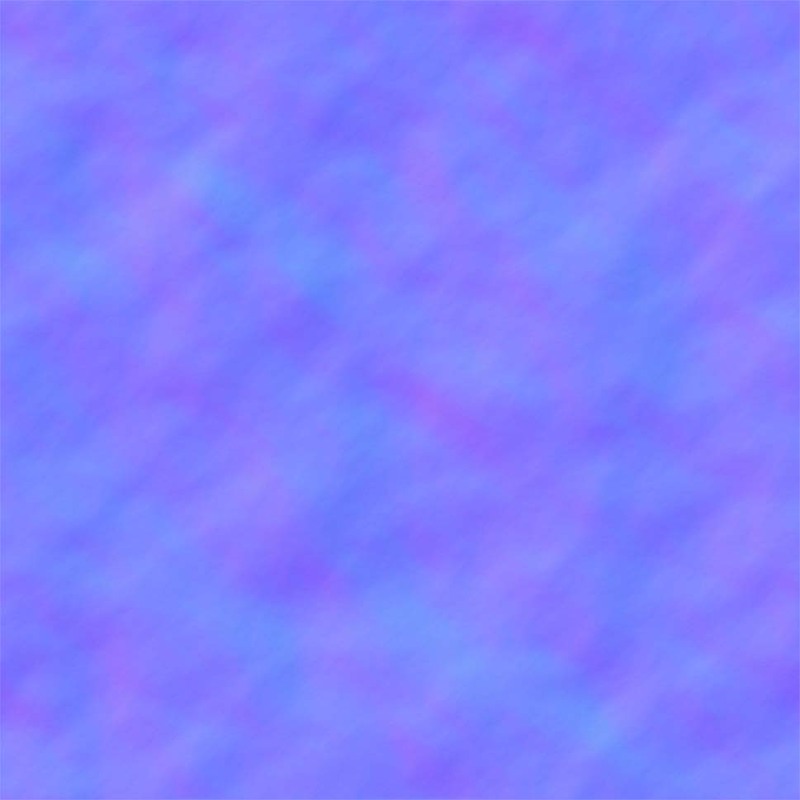 Likewise, when you look at the water surface with a shallower angle, the colour gets closer to sky blue (=Color2). Adjust transparency to make the water more realistic. Add a Slider and connect it to Opacity. I set the default value to 0.7. This completes the water surface with an up-and-down motion. The completed image – the waves with an up-and-down motion. 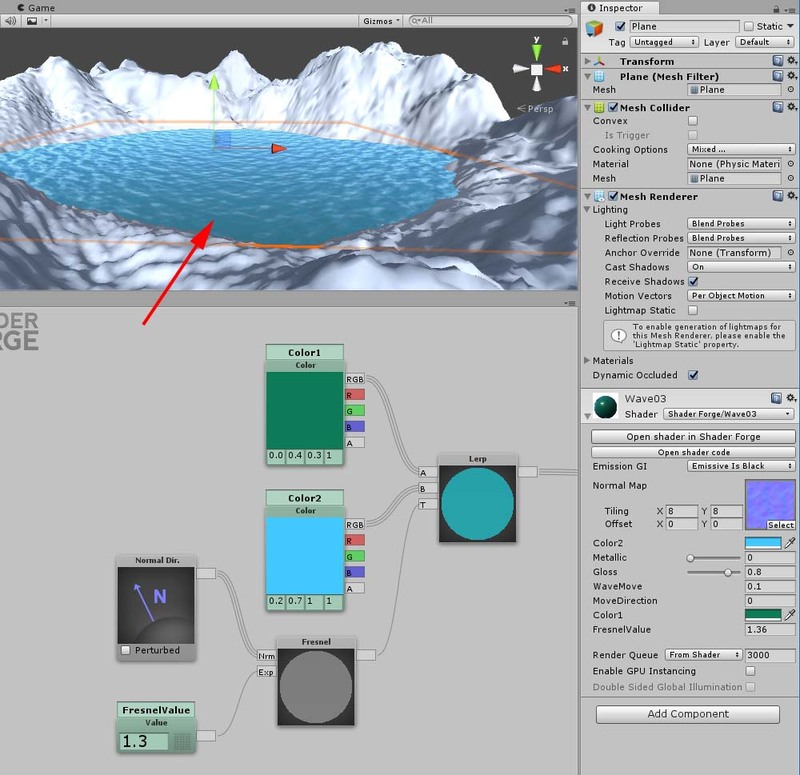 In this article, I introduced how to make the water surface with an up-and-down motion by Shaderforge in Unity.